Boost customer satisfaction, reduce perceived wait times, promote incremental services and keep employees informed. 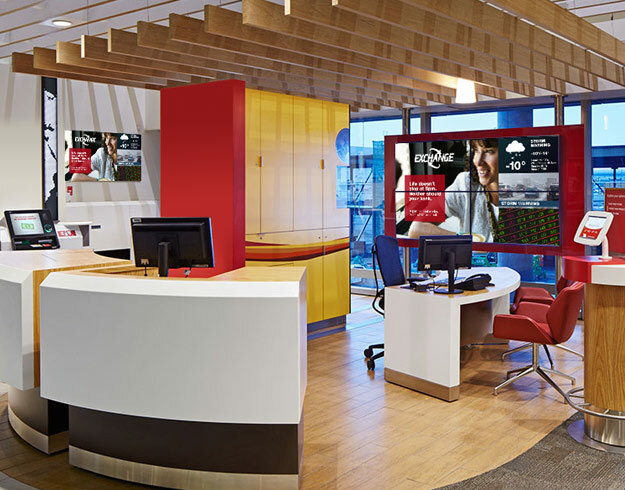 The personal banking experience can be improved with digital signage that helps entertain and inform customers while they wait. Engage customers by using real-time updates on interest rates, stock prices, current local news and weather. Let customers know about products and services, and current promotions. Employees can also receive changes to policies, staff acknowledgement and special event notices. Most of all, your content remains relevant so customers have confidence in your brand. Targeted messaging and offers can be deployed throughout different branches so you can customize what each region sees. And the best part? We do everything for you, from installation to on-going training and guidance every step of the way. Create an immersive digital experience, so each individual has a personal interaction with your brand. The HumanKiosk Solution combines the capabilities of interactive digital signage with on-demand experts. Introduce digital face-to-face interaction to revolutionize in-field customer service for point-of-sale or point-of-service environments. You can humanize brand interaction, improve the customer experience, and deliver your messages with the added benefit of personal face-to-face communication. Powered by Video Presence, the “HumanKiosk” delivers a “personal advantage” that is highly targeted, responsive and relevant to individual consumers. Keep up to date with customers and build brand loyalty with digital visual communications. Your financial institution not only retains existing customers but also attract new ones! Visual communication is our passion. Day in and day out, we live and breathe Digital Visual Communication. 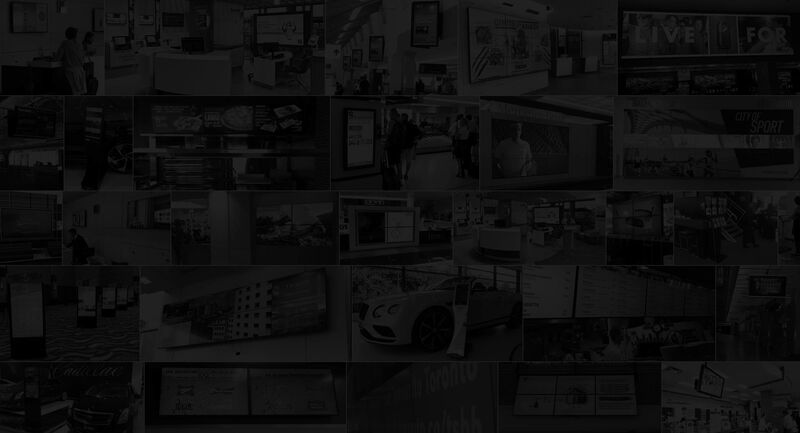 We have a great team of experts who know the technology and what it takes to make your digital signage network successful.